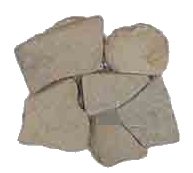 Our stone tiles come in thirty different styles and colors, pictured below and identified by name and number. Contact us for pricing and availability. In addition to 12" x 12" tiles, we can special order border tile strips in 6" x 12" and 4" x 12" sizes.